Desirae is 5 feet 7 inches tall, 150 lbs with red hair. She was last seen wearing glasses, black leggings and an unknown colored top. Desirae also has her nose and tongue pierced. 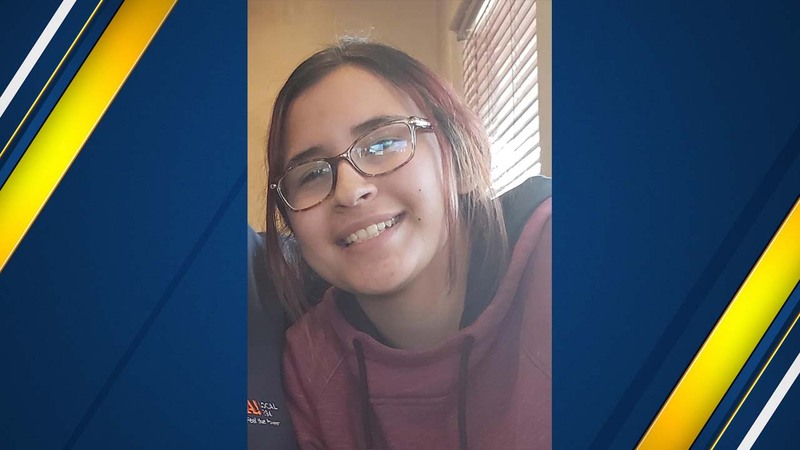 FRESNO, Calif. (KFSN) -- UPDATE: Sanger police say they have found 15-year-old Desirae Villarreal. She has been reunited with her family. Sanger Missing Person - Desirae Villarreal has been found. She is safe and being reunited with family. Thank you to all who shared the info and helped us get word out. Investigators showed tenacity and great police work in finding her. The Sanger Police Department is asking for the public's help in locating a missing 15-year-old girl. Police say Desirae Villarreal was last seen Friday morning being dropped off at Sanger High but never made it home after school was let out. If you have any information on her whereabouts or who she might be with, please contact Officer Amanda Nelson at (559) 875-8521. Her parents are very concerned about her safety and well-being. If you have any information that might be helpful, you are urged to call Sanger PD. SPD Case No. 19-3547.